With the music industry pulling its belt tighter than Jarvis Cocker’s loosest notch and artist development becoming as antiquated as the mini disc, the only way for a buzz band to survive past their anticipated debut these days is to take matters into their own hands. 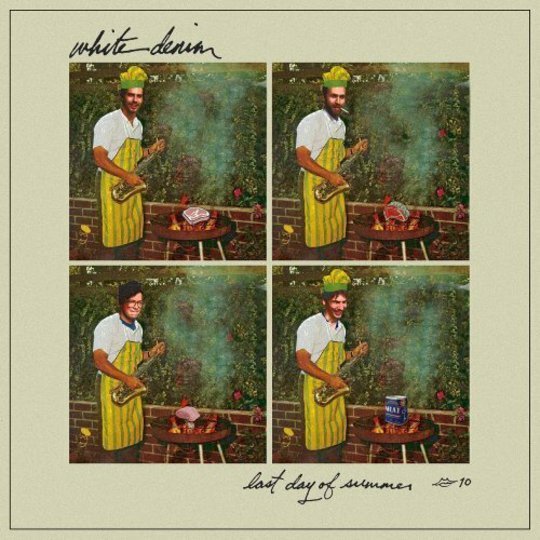 Critically applauded for their debut album Workout Holiday, White Denim’s follow-up Fits, a chaotic mix that indulged the band’s extreme avant-garde jazz and funk leanings received a less than favourable reception. With the prospect of going back to their day jobs and treating White Denim as a ‘weekend band’, instead of spending their final free summer in last year getting trashed and catching-up on Judge Judy, the band went into drummer Josh Block’s home studio one last time and recorded the aptly titled Last Days Of Summer over one month and then gave it away for free. A year on, another album later (this year’s critically lauded D) and Last Days Of Summer finally gets a proper bells and whistles release and it’s safe to say that, with the band not back working nine-to-five and another album behind them, it’s not a stinker. Actually, it’s far from it, showcasing the band’s first flirtations with the more focussed and accessible sound that was fully-realised on D; the instruments, rather than competing for attention like on their previous efforts, fit neatly into one solid structure and James’ once gnarled vocals have been soothed to a honey-hued Wilson bros tone. ‘Home Together’ with a jaunty hook and deep rhythm, takes you back to the hot summer in Austin when they recorded it; ‘Tony Fatti’ snatches your attention as James’ pleading vocals cruise along with Steve Terebecki’s familial dancing rhythms on a coastal drive. 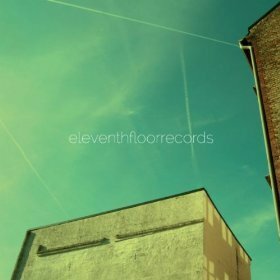 The band’s clear evolution in sound is poignantly show on opener ‘I’d Have It Just The Way We Were’, which originally featured on Fits and is here reworked with the hard jazz and percussion sanded down and the doe-eyed melodies played-up. Last Days Of Summer may have a more palatable sound, - it still dips sporadically into funk, soul, jazz and rock. ‘Some Wild Going Outward’ mixes an out of control bass with rustling country rhythms and ‘Shy Billy’ is pure silky soft soul. Forming a minimal jazz interlude to the broader narrative of the album and letting the band flexing their musical muscle is ‘Incaviglia’ and ‘Light Light Light’ with saxophonist Alex Coke guesting on the latter to further disorientate the free-falling structures. This time, what stops the band from descending into a 40 minute jam is that the structures of each song allows every instrument to have its place rather than all of them competing for attention at the top of the mix. Also, unlike the howled sloganeering and freak-outs of Fits (‘El Hard Attack DCWYW’, anyone?) the melodies and lyrics of LDS are more grounded; James sings rather than shouts and the words tell a clear narrative. ‘If Your Changing’ has a beautiful harmony as James’ relays the fears of an uncertain future and ‘Champ’ is playfully self-referential. White Denim may have not been granted an internship by the music industry, but their own self-imposed summer vacation has certainly paid off. Last Days Of Summer marks the point where White Denim left behind their schizophrenia and started speaking in one voice.